The Perfect Gift Ideas for Sloth Lovers! Looking for the perfect gift for the sloth lover in your life? Look no further – we have you covered! Our selection of sloth-themed Gifts that Give Back are still available for international delivery to arrive time for Christmas*! 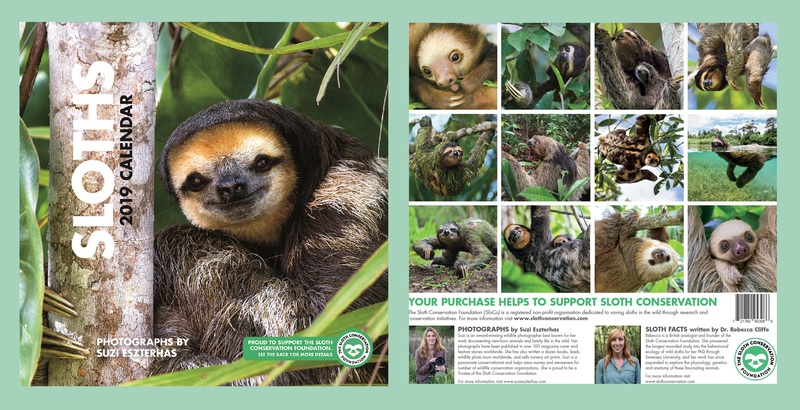 With proceeds going to support our sloth conservation efforts, it’s a double win! 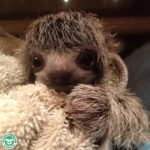 We are now offering ‘PHYSICAL’ sloth adoption packages – perfect as a gift! Click here to choose your sloth now! Receiver of the Amazon Choice Award for ‘best sloth calendar’ for the second year running! Each month features rare and striking images of sloths in the wild, taken by world-renowned wildlife photographer Suzi Eszterhas. Here, we showcase five different species of sloth, including the mysterious maned sloths, rarely seen pale-throated sloths and the infamous swimming pygmy sloths! Each month is accompanied by fascinating captions which offer surprising insights into the biology and behaviour of these unusual animals. Did you know that sloths are the reason why we can eat avocados today? Or why sloths can often be seen kissing each other? This stunning coffee-table style book takes readers on an immersive journey through the jungles of South America to discover the secret lives of sloths! The story is illustrated through spectacular imagery capturing some of the most intimate and rarely seen moments, while the narrative provides fascinating insights into the previously unknown habits of these unusual animals! Sloths and Palm Oil: how can you help? Sloths are anatomically designed for hanging upside down in the trees – even their organs are uniquely anchored against their ribs to prevent their weight from squashing the lungs when inverted! However, sloths do occasionally have to descend from the canopy and cross the ground to move between trees, and this is when they are at their most vulnerable.